He has been tipped to become the next James Bond when Daniel Craig finally relinquishes the coveted role. 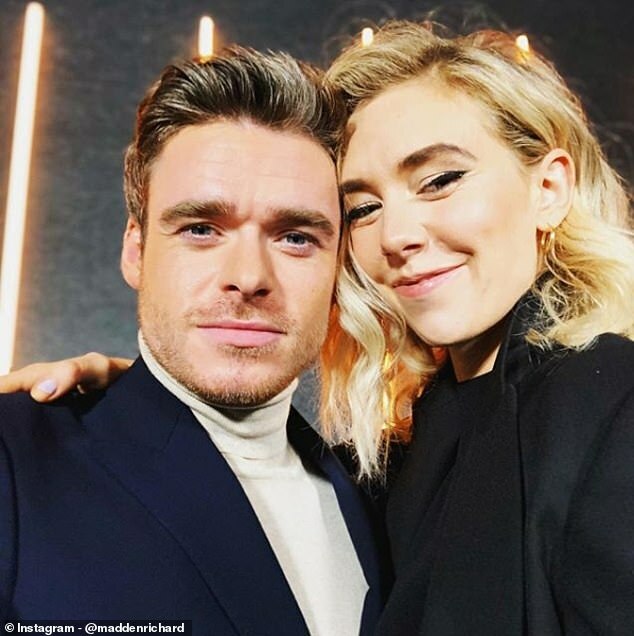 And, Richard Madden, 32, looked every inch the leading man as he cosied up to Vanessa Kirby, 30, whilst posing for pictures at the Hugo Boss Fall Winter 2019 show at New York Fashion Week, on Wednesday. 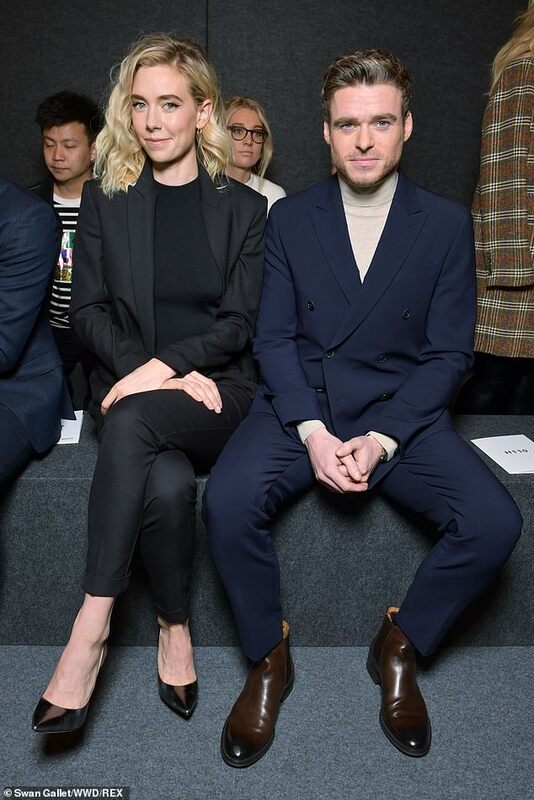 The Bodyguard star and the Crown actress appeared to spend the afternoon show-hopping, as they were also photographed sitting front row at the Marc Jacobs show. The Scottish actor looked dapper as he stepped out for the fashion shows in a double-breasted royal blue suit. Richard teamed the sleek suit with a cream coloured polo neck sweater and smart chestnut shoes. Meanwhile, Vanessa looked equally sharp in an all-black ensemble comprising silky tracksuit bottoms and a tailored blazer. The Crown actress ensured her enviable physique was on display with the help of a form-fitting body, which clung to her curves. The blonde beauty added height to her frame with a pair of chic pointed stiletto heels. Vanessa’s platinum locks were styled into beachy waves and she finished off her flawless make-up look with a bold feline flick atop her eyelids. 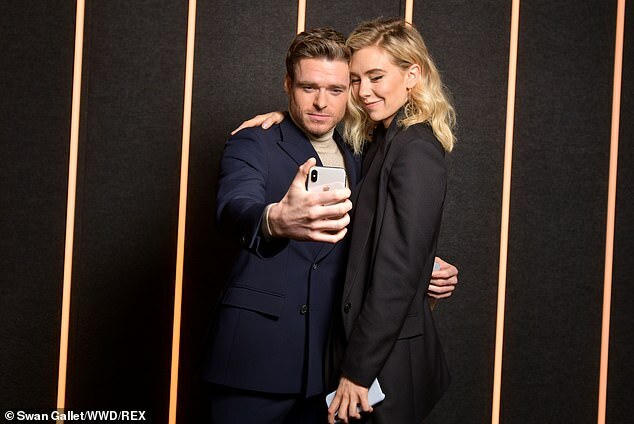 Whilst out and about with Vanessa, Richard took a selfie with the actress, and later took to his Instagram account to share the snap with his followers. Meanwhile, Richard is widely tipped to become the seventh incarnation of Bond after Daniel Craig completes work on his fifth and final film as the iconic secret agent in 2020. The Scottish star is the latest in a long line of actors to be connected with Bond following Daniel’s decision to give up the role some 15-years after making his debut in Casino Royale. Tom Hiddleston, Idris Elba, Aidan Turner and James Norton have also been linked with the role, but Madden has emerged as front-runner following his appearance as protection command bodyguard Sergeant David Budd. 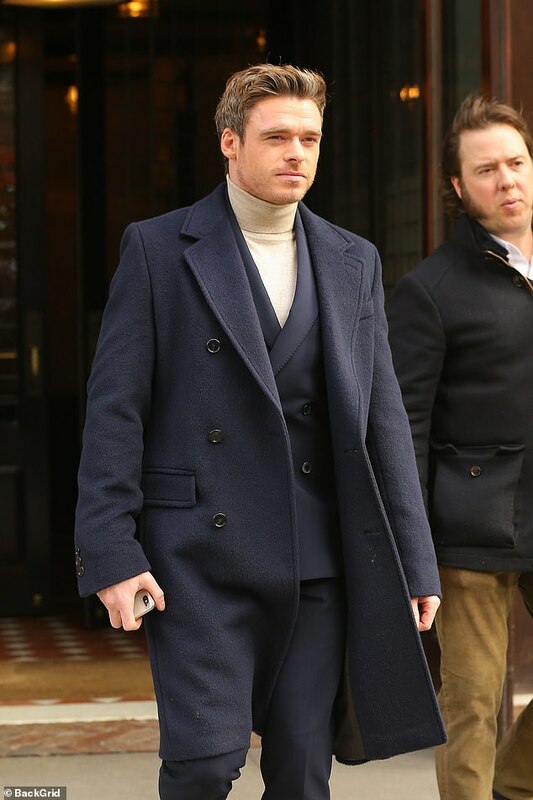 Speaking in 2018, the actor – whose found fame as the doomed Robb Stark in Game Of Thrones – admitted he was honoured to be associated with Bond. ‘This is what happens with all these shows, like Tom Hiddelston in The Night manager. Then there’s the next one. I’m the next one,’ he told GQ. However Madden may well make another appearance as Budd in the second series of Bodyguard before the Broccoli family make a final decision regarding the next Bond. A second series is said to be ‘very much on the cards,’ but Hawes insists her own character, Home Secretary Julia Montague, will definitely not be returning.